It’s not because it’s technically impossible, it’s because if you did it, no one would want it. Oh, they would think that they would, but when you look at the way you would have to do it… they wouldn’t. Omnidirectional antennas are pretty neat. They pick up signals from all around, which, let’s be honest, is why they call them that. It’s a neat trick, but not an easy one. 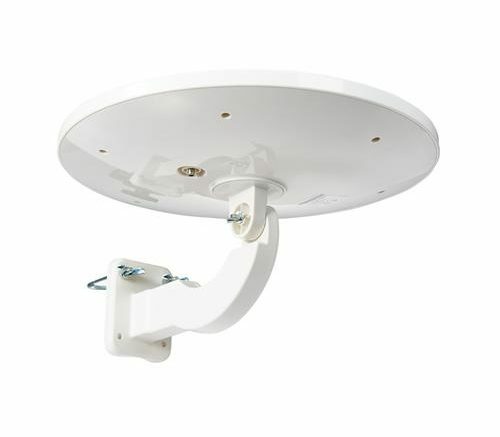 Omnidirectional antennas tend to be fairly poor at receiving signals compared to other antennas, and they often employ powerful amplifiers to compensate. In order to reach 75 miles, an omni antenna would have to be big. Really big. It would have to be so big that it would end up being too heavy for a typical mast, and too expensive for most people to buy. That’s the killer really… when it comes to antennas the truth of the matter is that you can design something to do almost anything but the cost rises to the point where people won’t buy it. If you need to pull in signal from 75 miles away in different directions, I recommend something like our DATBOSS MIX antenna combined with another antenna. It’s easy to combine multiple antennas using a Televes mast amplifier, too. I do understand that you’ll end up with a lot of hardware up on your roof but unfortunately there just isn’t an omni antenna that will do the job.